1. 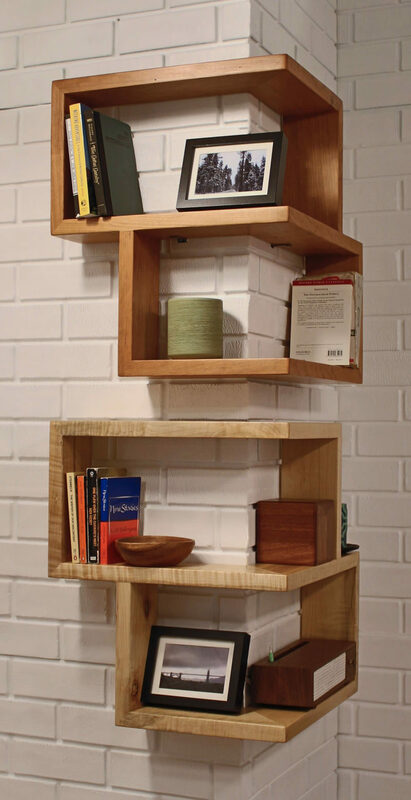 These box shelves hug the corners of your walls and make awkward corners turn into functional storage and decor spaces. 2. 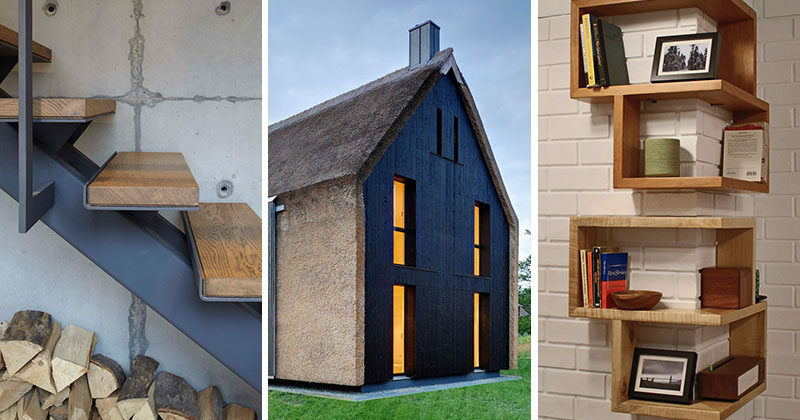 This thatch almost covers the entire exterior of this home, including the roof and some of the walls to create a textured look and contrast the black wood paneling. See more photos of homes with a thatched roof, here. Designed by Mohring Architekten. Photography by Melchior Fotodesign. 3. 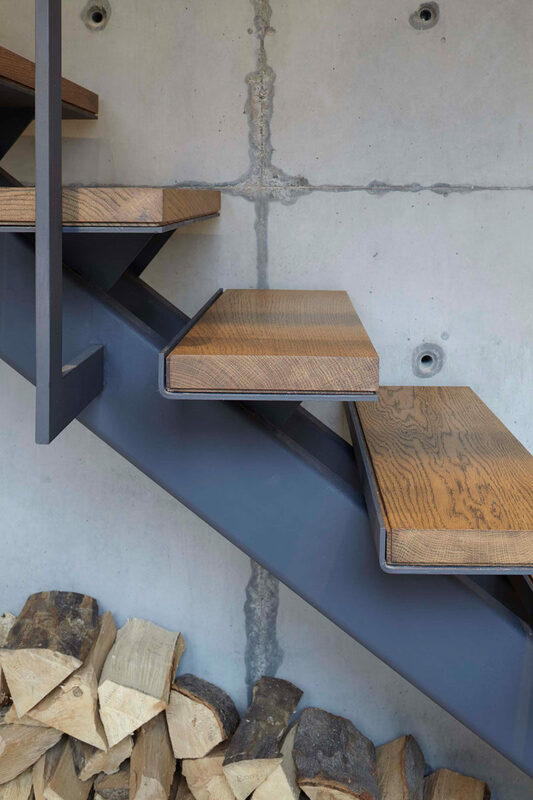 This wood and steel built-in handrail has been included in a section of the wall for a more industrial look. See more photos built-in handrails, here. Designed by Stuart Silk Architects, with interiors by Amy Baker Interior Design. Photography by Aaron Leitz. 4. This leather laptop sleeve keeps the precious cargo safe, makes a great gift and keeps you looking extra stylish and professional. See more 40+ men’s gift ideas, here. 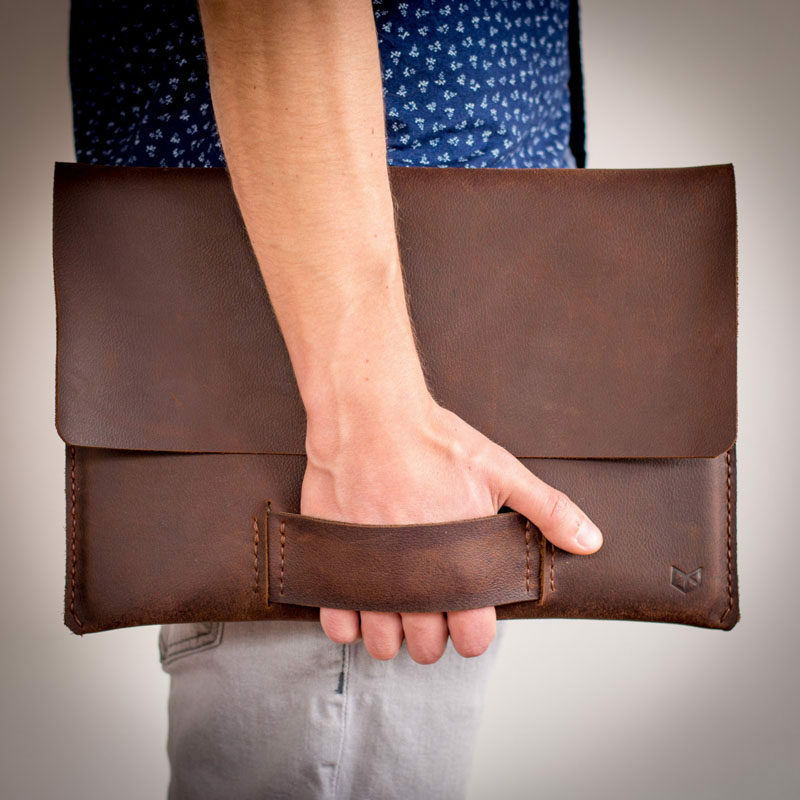 Leather Laptop Sleeve by CapraLeather. See more photos of this project, here. Designed by Giles Pike Architects.